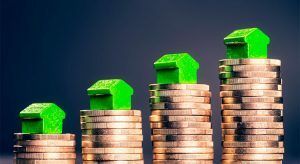 Why do home prices continue to rise? This seems to be the question of the day. Many are worried that we are headed for another mortgage meltdown and that lending practices are becoming too lenient as they did in the last real estate crash. The fact of the matter is that there are more buyers than there are sellers. Supply and demand… Whenever there is a limited supply of an item that is in high demand, prices increase. Click here to check out some interesting charts showing us where we are today. And, if you are thinking of selling and would like a valuation on your home, give me a call.…lets chat!